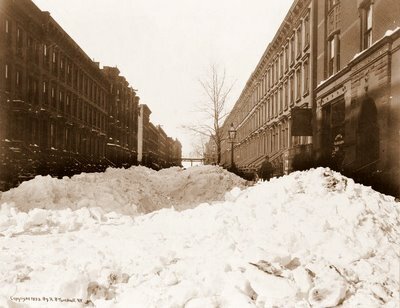 Drifts from a February 13, 1899 blizzard pile up against buildings in Harlem, New York City. This photo was taken by R.F. Turnbull.